Good copy is many things. It is clear, concise, purposeful and well researched. Above all, however, good copy is original. For many, the fear of plagiarism left their head soon after they left school. That is, of course, if it was something they had considered at all. As a sometimes-adjunct teacher of college composition courses I have often encountered students who believe they will never need to know basic writing skills, let alone research methodologies and note taking. While it is true the majority of people will not need to be experts in citation styles (after all, there are style guides for a reason), greater reliance on internet sources has only increased the importance of attribution. Crediting source materials is important inside and outside the classroom. Most often, I have found my students plagiarize when they are simply up against the due date for their paper. Anyone who has sat down in front of a blank page has experienced the beast at some point in their life. Trying to meet the deadline of a paper or content marketing piece, especially if a word count minimum is involved, makes it easy to accidently include unoriginal work. Nearly every college course has a plagiarism clause, often under academic dishonesty, denoting it will not be tolerated. But proper attribution of sources is just as, if not more, important in the real world. 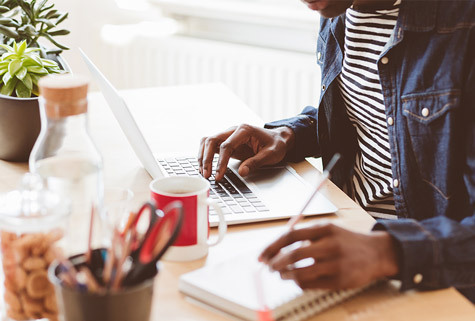 While college plagiarism might result in a lower grade or even expulsion from the school, passing off someone else's work, which includes their thoughts as well as their words, as your own outside of an academic setting can have much larger consequences. Unoriginal work degrades your brand, whether personal or professional. It can also lead to copyright infringement. Whether you use an existing citation style or create or adapt your own the goal is to make it easy for anyone reading your piece to find your source materials. This not only protects you against copyright infringement, it also helps build your brand’s credibility as a thought leader. While the internet has expedited the research process in a number of ways it, somewhat unfortunately, can also lead to sloppy note taking through copying and pasting. When your outline or comprehensive source list does not clearly indicate the text is copied and provide the origin you can easily forget it is not something you wrote. This is especially true if you have the benefit of time between researching, writing and editing. If you are part of a company where the draft is then handed off to someone else there is often no way for your coworker to know citations are even needed. Taking good notes during the research process is a vital skill for any writer. Unintentional plagiarism can come from incomplete citations or poor note taking. If you find a perfect chunk of text in your outline you may feel relieved that you clearly wrote something else earlier and simply drop the text into your piece. Just as words should be carefully selected in your writing, your notes and outlines should be carefully crafted to distinguish between your own original ideas and the knowledge you have gained from outside sources. Ebooks and white papers in particular are great content marketing pieces that should provide useful educational information to your audience. They help you acquire leads while establishing you as a subject matter expert. If you have written an ebook or white paper there’s a very good chance you need to include citations in the piece as they often require outside research or supporting facts and statistics. Just as your reader should be able to locate your sources in a variety of ways, you should also be able to find your source. If you only include a title or an author in your note taking you might have difficulty relocating the source when the time comes to make your reference list. This makes attribution of your sources difficult and complicates fact checking that should be an essential component of your copyediting process. Learn more about best practices for researching and source attribution in content marketing. Contact Bill White or Abby Spung at 800.606.1610. Think you have what it takes to provide clear, concise and original content? Take steps to join our team.